When thinking of some of the most stable, business-friendly, capitalist, and financially robust places in Asia, Hong Kong and Singapore are at, or very close to, the top of the list. The two jurisdictions are similar to each other in many ways. Both are small island states. Both are financial gateways of a much larger region (Hong Kong for Greater China, Singapore is the hub of Southeast Asia). And both are wealth havens for foreign capital. Because of these similarities, Hong Kong and Singapore are in fierce competition to become the most important center of international business, finance and trade for Asia as a whole. Clearly, both are doing things that are right while blowing most of their Western peers out of the water in many rankings. Every year in the World Bank’s Ease of Doing Business Index, Hong Kong and Singapore frequently swap places as Nos. 1 and 2. Likewise, and despite their small sizes, each has one of the top five busiest container ports in the world, and each is a center of manufacturing. In fact, if you look at the value of Singapore’s total manufacturing exports, it’s higher than any other country in Southeast Asia… despite being the smallest. The country is able to do this through making high-value products such as pharmaceuticals and refined petroleum, while using the space they have as efficiently as possible. While it’s natural to compare Hong Kong and Singapore with each other, there’s almost no comparison between the two and most of their East Asian or Western counterparts. Both cities are home to some of the most stable and safest banks in the world. A report by Bloomberg ranks Hang Seng Bank, one of Hong Kong’s largest, as the most well-capitalized banks in the world. 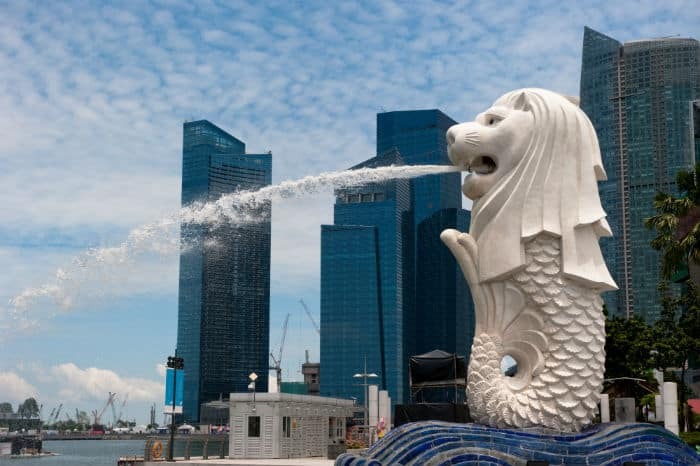 Singapore and Hong Kong, despite together having about one-half of one percent of the world’s population, each grabbed two spots to claim four out of the top 10 banks on this list – more than the entire continent of Europe could do. The only bad part is that it’s getting increasingly difficult for foreigners to open accounts with them and the window of opportunity is closing. 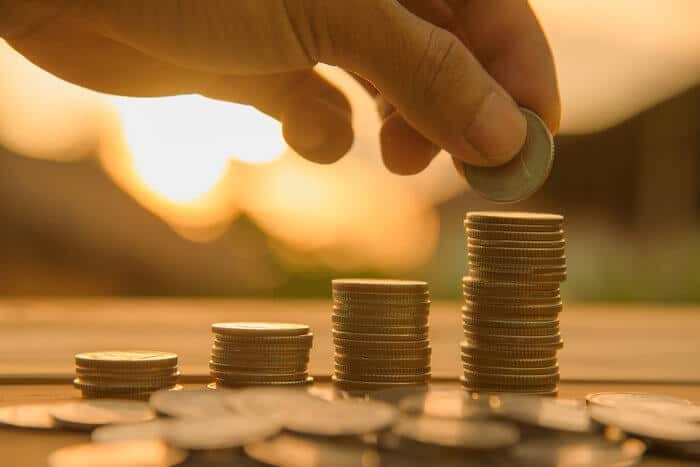 In addition to stable banking sectors and transparent legal systems, some of the lowest taxes in the world also helps the two cities draw tons of foreign capital – both from wealthy individuals and businesses. If structured right, an offshore company in Hong Kong or Singapore can pay effectively zero percent tax if not serving local customers. This is perfect for online or location independent businesses. Neither country has capital gains tax or estate tax, making both places ideal for investors or wealthy retirees. Otherwise, taxes are low for any type of company or individual. Businesses in Singapore pay a 17 percent flat tax and it’s 16.5 percent in Hong Kong. For individuals, there is a rather simple tax bracket. Even the very wealthiest of people in either city will pay no more than 20 percent in taxes, though most “normal” people pay quite a bit less. This does not include various tax deductions. Perhaps best of all is the sheer ease of doing business. Everything is done transparently, efficiently and swiftly in Hong Kong and Singapore – from first incorporating your business, to paying taxes. No threatening phone calls from the government, no tax attorney needed to find vague “loopholes,” and no imprisonment or fines if you mistakenly leave out a few cents worth of tax. For those who are used to living in most other countries in the world, it truly is a breath of fresh air. Which jurisdiction is better: Hong Kong or Singapore? Many people can’t help but wonder if one of the two city-states is “better” than the other, and if one may even replace the other and make it obsolete in a few decade’s time. The answer is definitely not a straightforward one. It depends entirely on what you’re looking for. Singapore and Hong Kong each have different things they do better than the other. For example, Singapore is a hub for venture capital and entrepreneurship. 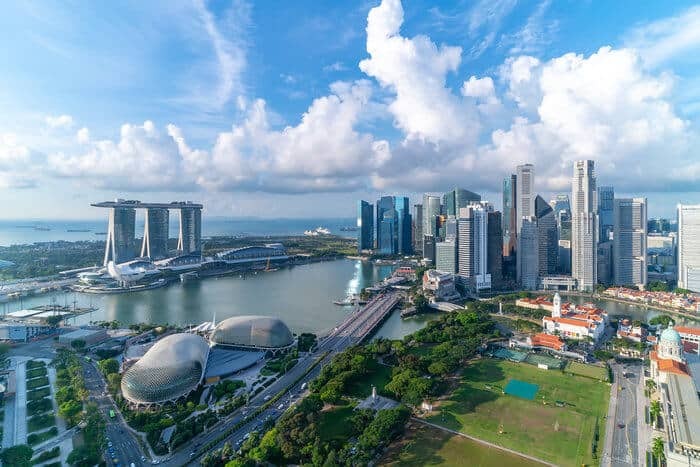 Startup investors find the legal and corporate environment in Singapore a bit more transparent and easy to navigate due to the fact that they use English as a first language. On the other hand, among Hong Kong’s specialties are finance and investment. Connections with financial markets in mainland China, as well as a historical and more widespread presence of multinational banks, brokerages and other institutions give Hong Kong an edge over Singapore in this category. The list goes on. Singapore does private banking. Hong Kong does investment banking. Singapore does foreign exchange. Hong Kong does foreign stocks. Singapore does precious metals. Hong Kong does international trade. Rather than eventually having one beat the other out, it’s far more likely that one will complement the other – similar to the way London and Zurich, or New York and the San Francisco Bay Area do. Either way, Hong Kong and Singapore are some of the best countries for business, not only in Asia, but in the world. They are worth keeping an eye on for any international businessman or investor. 1 – Quote: “value of Singapore’s total manufacturing exports, it’s higher than any other country in Southeast Asia despite being the smallest” — I heard most of SG exports are re-export of products. Means SG imports product and re-export it. Can you clarify this one? 2 – I also heard that most of their money come from 17% corporate tax that foreign companies evade in their country. 3 – What about Temasek? Are they really losing money this time? 1. Yes, correct. Around 47% of Singapore’s exports are re-exports. Even if you don’t include those (I’m not quite sure why you wouldn’t, as its rather lucrative) ~200 billion worth of exports is highly respectable for a country the size of Singapore. 2. There I’d have to correct you. That’s not tax evasion – that’s just being wise and locating your company in the jurisdiction that treats you best. If you mean “they”, as in the Singaporean Government, I’m pretty sure they along with almost every other country get a very large portion of their tax base from corporate income. 3. Last numbers from them I believe came out last year and it was 1%-2%. Definitely not spectacular. i need a any job please job me.i am waiting. “ASEAN” capital reason so many banks. Building REITS in L.A and San Francisco global appeal is successful only problem inflation and gentrification. Singapore REITS top investors in (class A office buildings) San Francisco and Long Beach thanks to BOMA S.F,NAIOP and NCCAR. Admire Asian peninsula people and economic progress never emulate this anywhere deferred “taxes” if employed global firm. Hi There, I just found this website as I need to open a simple checking account in Asia. I’m currently in Bangkok. I’ve taken some time on your website but could you offer a tip or suggestion if it would be simple for me to just HK and open a basic account? Thank you!